A "prolific fraudster" who faced legal action from Eric Cantona after using his image on a range of wines and brandy without permission has been arrested. Brandon Pyatt was caught in South Africa after 21 years on the run. 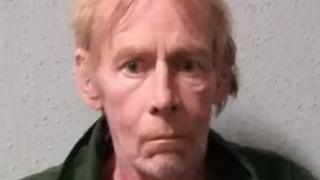 The 64-year-old was convicted of fraud and deception in 1998 after skipping bail during his trial at Chester Crown Court. He was sentenced to five years in jail in his absence. Pyatt, from Droylsden, Manchester, used fake identities to evade capture, the National Crime Agency (NCA) said. He committed a series of frauds linked to a vehicle leasing company he ran in the north west of England in the mid-1990s, leaving some of his victims "tens of thousands of pounds out of pocket", the NCA added. Pyatt is believed to have gone abroad immediately after failing to turn up for the trial. He was arrested in Pretoria last week after the NCA tipped off South African authorities. He also faces criminal charges in South Africa for alleged fraud and theft. Pyatt appeared in court in Durban on Tuesday. Proceedings there will be dealt with before extradition is considered. Pyatt hit the headlines in the 1990s for the Cantona scam, using the Manchester United star's image on wine and brandy without permission. Head of international operations for the NCA, Ian Cruxton said: "Pyatt travelled to the other side of the world and used a range of aliases and assumed identities in a bid to evade us.